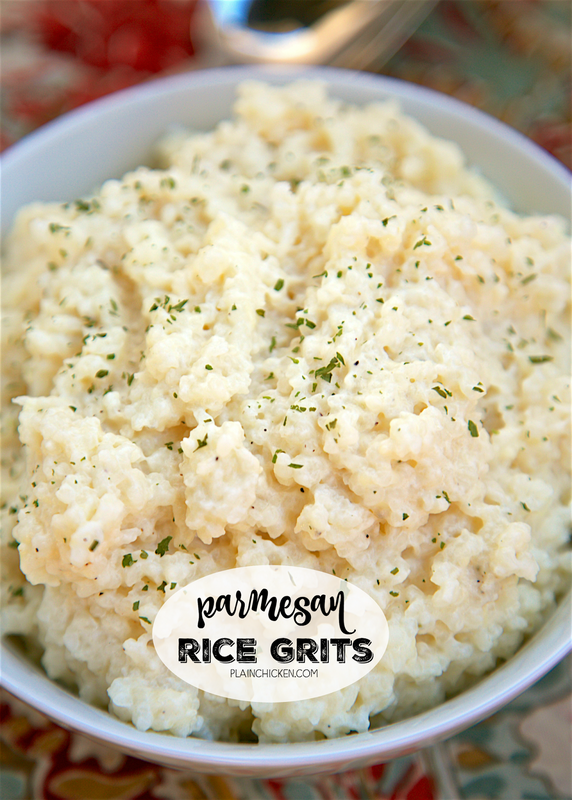 Parmesan Rice Grits - SO easy and delicious! Rice grits, chicken broth, half and half, butter, parmesan cheese and rosemary. Dump everything in the pot, cook then stir in cheese and rosemary. SO good and creamy. My husband took one bite and said "This is really, really good! Can we have them again tomorrow?" On our trip to Ponte Vedra in January, we had dinner at the TPC Sawgrass Clubhouse. The food was outstanding! We ended up having a variety of appetizers for our meal. One of our favorites was the Grouper over Parmesan Rice Grits. The grouper was delicious and the Parmesan Rice Grits were out of this world delicious! I knew I had to make the grits at home. One of my Instagram followers told me to check out Delta Blues Rice online for the rice grits. I promptly ordered some and made these Parmesan Rice Grits. They turned out great! Chicken Legs took one bite and was in love! These Parmesan Rice Grits have become a standard side dish for us. They only take about 20 minutes to make. Basically dump everything in a pan, cook for 20 minutes, and stir in the cheese. So easy! 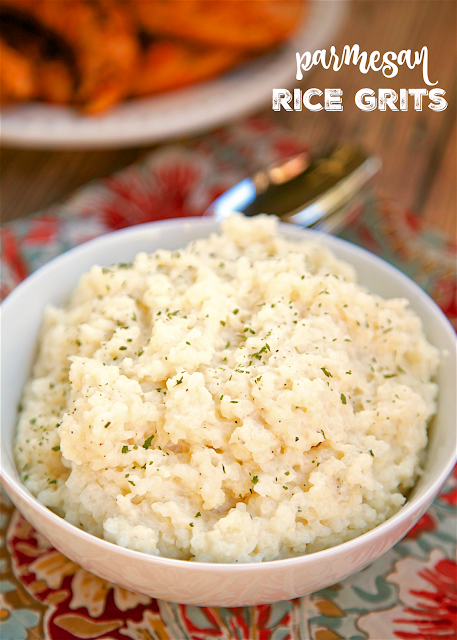 The grits also came with a recipe for Rice Grit Risotto. We will definitely be giving that recipe a try very soon! In a large pan, combine rice grits chicken broth, 1 cup half and half, salt, and butter. Bring to a boil. Stir. Cover and simmer on low for about 20 minutes or until the liquid is absorbed and rice grits are tender. Remove from heat and stir in Parmesan cheese, remaining 3/4 cup half and half, pepper and rosemary. Add additional half and half to achieve desired creaminess. Where did you get your rice grits? Could this be made with regular grits?